Dark Anime are anime's that has dark genre/themes such as violence, hate, revenge, madness/insanity, murder, blood, envy, greed, racism, etc. Believed it or not, I just recently heard the term “Dark anime”, because a friend asks me if I could recommend him some good dark anime, and I just said, “What is a dark anime?” LOL. Then I laugh at myself because honestly, those things are the ones that have always fascinated me. This dark anime list below is my recommendation of the anime that has dark themes that I think great and worth watching. Have fun friends! The main character is a struggling manga artist and has been rejected by the manga editor. 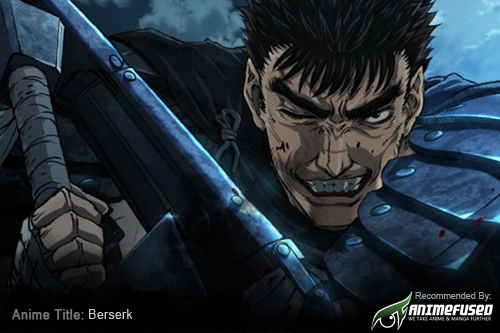 Then due to an accident, he discovers that he has the ability to turn back time and avoid deaths allowing him to execute a life-saver role. However when his mother is killed wrongfully accused. Then turns back time to solve the mystery, but ends up back in elementary school 18 years in the past. Soon, he realizes that the murder may be connected to the abduction and killing of one of his classmates a mysterious case that took place when he was a child. 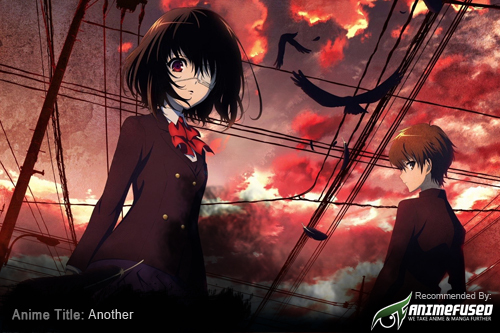 This dark anime will really give you a frightening and suspense feeling while watching. The main character was one of Japan's elite office workers, and was push by his co-worker on the train station that resulted his death. But, because of a wrathful god, he was reborn as a little girl. A little girl with a miserable life as a poor orphan girl. Because of the upcoming war and on-going military recruitment she was discover for she has a talent and potential as a mage soldier. 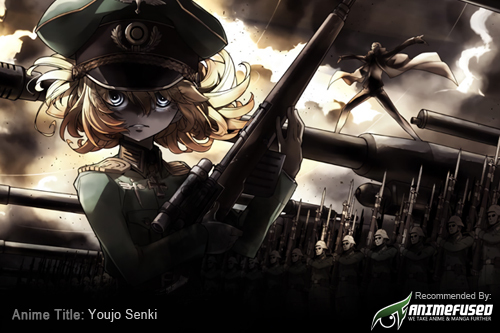 Because of her outstanding achievements she is now leading and commanding her army she prioritizes military orders, career and promotion above all, and she will become the most dangerous, merciless, brutal, funny, cute, tiny, little commander of all. All of a sudden, parasitic aliens that arrived on Earth and quickly infiltrated humanity by burrowing into humans and acquire full control of it and are able to morph into a variety of forms such as blades, sharp and deadly weapons shape in order to eat humans and at the same time protect themselves from humans. The main character falls victim to one of these parasites, but it fails to take over his brain, ending up in his right hand instead. 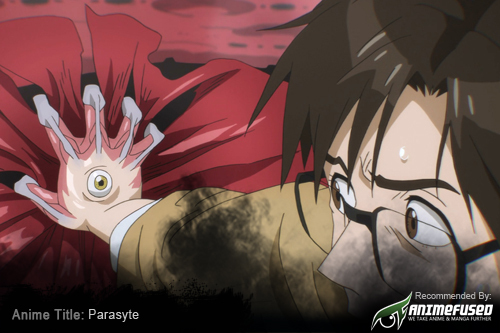 Unable to relocate, the parasite, has no choice but to rely on the main character in order to stay alive. This anime is really good, thrilling and suspense. 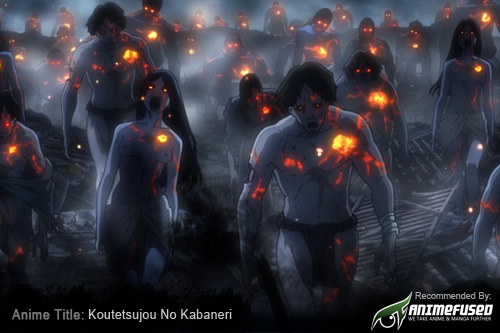 The world here is in the midst of the industrial revolution when the zombie-like creatures emerge from a mysterious virus. The only way to kill these beings, known as "Kabane," is by destroying their steel-coated hearts. However, if bitten by one of these monsters, the victim is doomed to a fate worse than death, as the fallen rise once more to join the ranks of their fellow undead. The main character here was unexpectedly bitten what happens next is for you to get excited. When Subaru Natsuki leaves the convenience store, the last thing he expects is to be wrenched from his everyday life and dropped into a fantasy world. Things aren't looking good for the bewildered teenager; however, not long after his arrival, he is attacked by some thugs. Armed with only a bag of groceries and a now useless cell phone, he is quickly beaten to a pulp. Fortunately, a mysterious beauty named Satella, in hot pursuit after the one who stole her insignia happens upon Subaru and saves him. In order to thank the honest and kindhearted girl, Subaru offers to help in her search, and later that night, he even finds the whereabouts of that which she seeks. 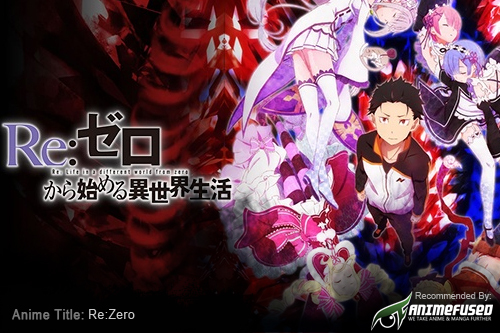 But unbeknownst to them, a much darker force stalks the pair from the shadows, and just minutes after locating the insignia, Subaru and Satella are brutally murdered. The main character is a boy who gains the ability to read the future through his cell phone used for his personal diary, which is pretty cool until he finds out that there are 11 other people who also have their own diary's and are his opponents in a competition to become a god. But that’s not all bad, he happens to have someone to protect him. A cute girl who’s a schoolmate and also has a future diary, and it turns out she likes the main character. an insane psychopathic stalker and possessive girl. 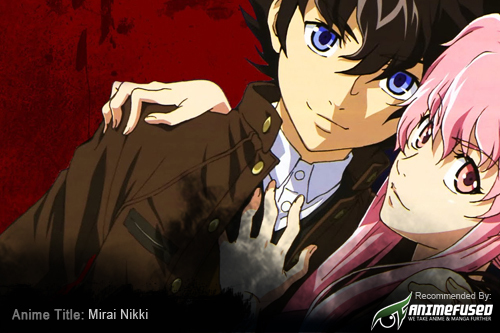 The story follows these two as they try to survive in the killing game they've been placed in to become the God. Twenty-six years later, the main character transfers into class 3-3 of Yomiyama North and soon after discovers that a strange, gloomy mood seems to hang over all the students. He also finds himself drawn to the mysterious, eyepatch-wearing student; however, the rest of the class and the teachers seem to treat her like she doesn't exist. The main character begins to get closer not only to her but also to the truth behind the gruesome phenomenon plaguing class 3-3 of Yomiyama North. It looked like it would be a normal day for the main character and his classmates—they were preparing to go on a class field trip to a certain prison amusement park called Deadman Wonderland, where the convicts perform dangerous acts for the onlookers' amusement. However, Main Character’s life is quickly turned upside down when his whole class gets massacred by a mysterious man in red. Framed for the incident and sentenced to death, the main character is sent to the very jail he was supposed to visit. And the darkest secrets begins.. and it’s for you to discover. Have fun watching! 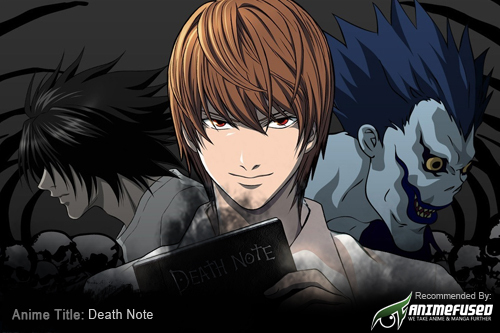 The story started when Light Yagami a prodigy found a notebook. The notebook is called "Death Note" with a mysterious power to kill people whoe name written on it. As a son of Police Officer, Light sense of Justice cannot be ignored, but at some point it ended up being absurd. Killing all criminals in the World he began to consider himself as God. Then some extraordinary detectives began to hunt him. 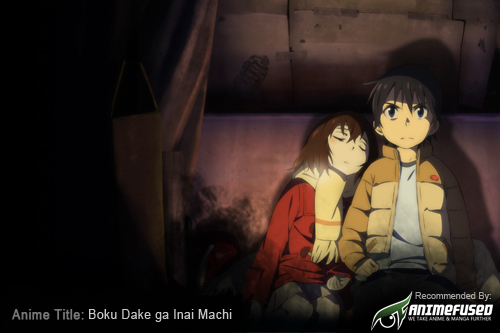 This Dark Anime also received many awards from 2006 to 2009 such as Eagle Award by UK fans, Best Manga by American Anime Award, Top 10 Manga of All time by Ministry of culture of Japan, third best manga property from North America, etc. 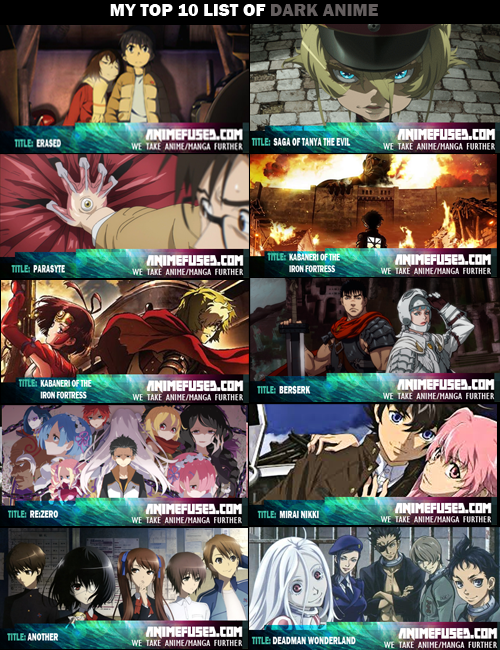 Best Anime Website Streaming Online FREE!! 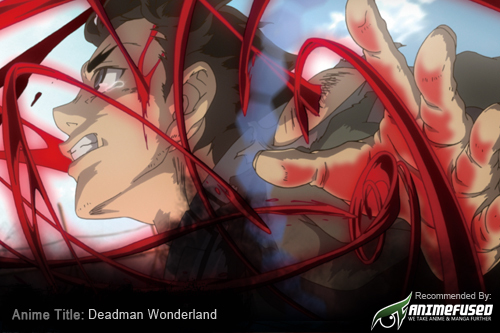 To me the "deadman wonderland" is very dark and it's main character is very pitiful but he manage to made it through the impossible fights. I'd love to see more post like this it's very entertaining and it entice me to the anime that I haven't watch yet. Thanks admin, I'll watch this list even though i'm not a fan of dark theme. This is pretty cool bro! you can also try Akagame kill, its also dark anime. 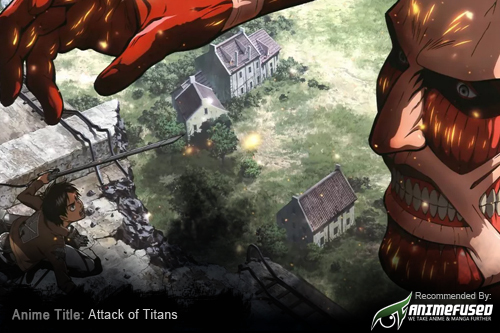 I like watching attack on titans. It's really amazing to me, I'd like to try those maneuver gears and fight like Mikasa. Thank you everyone, seems like this will be a good topic, so I'll make a thread about what's your favorite dark anime. My favorite dark anime ever is Death Note! I like Nier and how he manage his subordinates. Tanya is the cutest Evil character I've seen!